TAMPA, FL (February 12, 2016) – Jonathan Davenport passed Scott Bloomquist with ten laps to go and went on to win the Winternationals event on Friday Night. 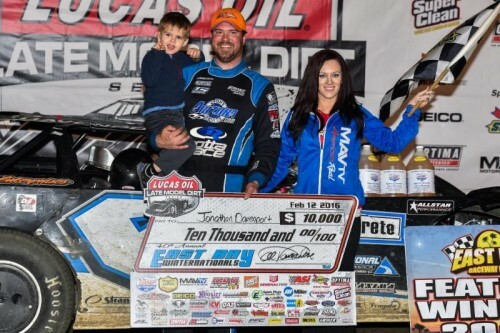 Davenport’s win was his second of the week in Lucas Oil Late Model Dirt Series competition at East Bay Raceway Park. Trailing Davenport and Bloomquist to the checkered flag were Darrell Lanigan, Don O’Neal, and Tim McCreadie. “Just like last night, I gave it all I had. I saved my equipment and my tires. We still have electrical issues with this motor. It was breaking up so bad, that I could only run three-quarters of the throttle until the end of the race. Lee Roy [Rumley] told me if it was skipping too badly, to pull it in. I only ran the first five laps with it skipping,” said a smiling Davenport afterwards. Bloomquist took off and led the caution-plagued event until Davenport went by him coming to the flagstand on lap 40. Before that, Davenport had a hard-fought battle with Lanigan for second. He broke away from that and was able to challenge Bloomquist for the top spot. Davenport’s K&L Rumley-owned entry is sponsored by Baird Transport, Elite Concrete, Mac Trailers, Mega Plumbing of Carolinas, National Transportation, Race Note, JRi Shocks, Sunoco, Dirt Wrap, FK Rod Ends, Bryson Motorsports, CV Products, and Midwest Sheet Metal. 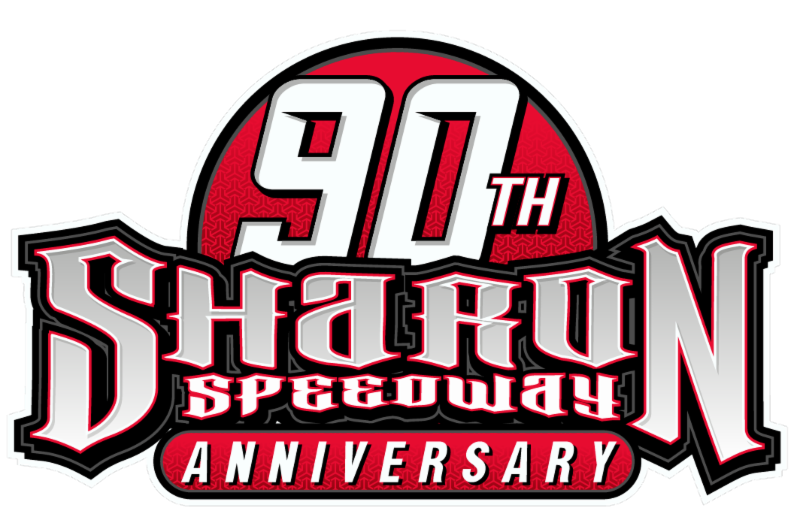 Completing the top ten were Brandon Sheppard, Jared Landers, Jimmy Owens, Devin Moran, and Earl Pearson Jr. In preliminary action, Jonathan Davenport set the overall Miller Welders Fast Time (Group B) amongst the 35 entrants, with a lap of 14.819 seconds. Scott Bloomquist set the fastest time in Group A with a time of 14.829 seconds. Scott Bloomquist, Jared Landers, Jonathan Davenport, and Don O’Neal won their respective heat races. Mason Zeigler and David Breazeale won their respective B-Mains. Bobby Pierce earned the Miller Welders Fast Time Provisional and Austin Kirkpatrick won the DirtOnDirt.com Strawberry Dash. For the latest breaking news on the Lucas Oil Late Model Dirt Series, including the latest series standings, 2016 tour schedule, driver information, and more visit the official website at: www.lucasdirt.com. Lucas Oil Late Model Dirt Series Provisionals: Jimmy Owens, Eddie Carrier Jr.
Allstar Performance Power Move of the Race: Eddie Carrier Jr.